Whether or not you are a techie, it is more than likely that you are conversant with the word blockchain. It is popularly known to be connected to cryptocurrencies. 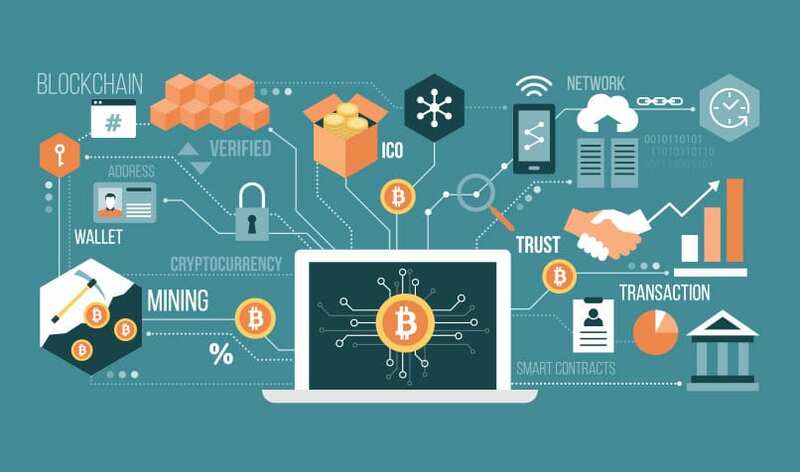 In simple terms, the blockchain is the digital money technology platform, housing the popular Bitcoin – the highly successful cryptocurrency with many subscribers and users globally. It is a powerful, permanent, distributed and decentralized ledger, and a digital recorder of transactions between parties or a linked system of participants. With blockchain well-known to achieve autonomous and remote consensus between users, it has been figured out that the self-reliant data infrastructure of this technology, is quite useful for the growth of any small business. Blockchain technology helps bring products and transaction services to the market in a quick and cost-effective way. Thus, leaving behind the old way of high-cost security, issues with storing of data, and other overheads and allows business to thrive as it should. It is safe to use. Altering information on the platform is quite difficult with the time-stamp feature it has. Every node in the chain has a copy, and if there is a situation of a node running into issues, it won’t pose a threat to the database. It is cheap and quite affordable than traditional technology. Blockchain uses a vast and decentralized system that doesn’t require brokers or intermediaries. It saves you time and very simple to use. The technology is always updated and acts as a single, shared database. Being on the network will save you time and you won’t be needing your own database. It is transparent. There is no hiding when it comes to this network, everyone can see what is on the blockchain, avoiding doubts and uncertainty. If you run a small business and are looking for how to make your business have an edge in the market, take a look at these ways to incorporate blockchain into your small business. Blockchain-based apps like BlockCat and SmartContract can help you monitor, carry out your duties and enforce them seamlessly. Assuming you are a freelancer and you are supposed to deliver a work by the end of the month, the apps will help you track time and alert you on whether you have had the work delivered or not. And, if the delivery is confirmed, your payment comes underway. The blockchain technology has cloud storage apps like Stori and Sia, that let users encrypt their data and files. This makes your data secure and only give access to you, as you will be provided with a special key to unlock your data when you want to. You can be assured that the platform is well secured. Personal users and businesses spend billions of dollars to secure their data on the cloud, despite a large portion of the prepaid storage not being put to use. Blockchain allows users to store their data on the cloud and gives maximum security for it. It also allows its users to rent out their hard-drive space on the cloud. But, don’t forget access is given to only you. Since blockchain provides a safe environment for executing digital contracts, it is equally useful in the digitalization of traditional contracts. i.e, in the making of smart contracts. Using smart contracts can help you achieve your aim of securing unbreakable contracts, as the blockchain-based app is quite unique with a self-executed coded agreement which assures a delivery of outcome if all the conditions are met. It provides a channel that is risk-free for businesses, to enable them to manage and control a relationship between business owners and vendors. Blockchain-based apps can also make you save money by reducing the need for a lawyer and expenses you will be charged for a legal proceeding, in a case of the bad faith of the party. If you agree to and fulfill the terms of a business, a value transfer will take place. Moreover, the contracts are secured and stored on the storage to reduce the odds of an agreement being altered by any party. Providing proof of provenance is quite important as the products that get to the consumers are not produced by one manufacturer. In a case of supplying bar soaps or snacks to consumers, the product is made by a company that can be you, while the packaging is done by another that can be far away. Tracking the provenance is required to assure you of the legality of the products you are purchasing and blockchain provides you with an easy way to do this. Receiving goods from shipping always comes with the stress of managing paperwork when making sure to keep things in order. Most times, it is difficult to keep track of the location of your goods and shipments in real time, and delay of shipments can even affect the growth of your business and relationship with those depending on you. Blockchain can help eliminate these issues by making it possible to track records of the stages of the journey (from the origin to the shopping cart of the buyer) with no stress. Technology is taking over the world and with recent advancements, the future looks promising. In a similar vein, digital devices can interconnect with one another through blockchain to give you an autonomous network for smooth and efficient operations, easy decision making, and device to device communications. These devices can now self-manage, auto update, schedule payment for maintenance, and fix bugs on their own. Imagine the level of relief and ease if a printer can order consumables like ink and paper on its own. This kind of help and many more are offered by blockchain-based apps. Thus helping to save a significant amount of time and manpower. The blockchain technology helps small businesses to track and verify identities before passing a digital access point in a case of when a customer hits a paywall on their website. It helps to keep premium contents and information safe by sharing only with verified users. The use of blockchain as “proof of existence”, is used by small business owners in the online verification of customers’ identity, in a way similar to Facebook’s authentication system. This keeps customers’ data safe and provides you with a safe and secure way to verify online identity to avoid the risk of information getting into the wrong hands. Proof of existence also helps to safely distribute contents across all platforms. Blockchain can help you handle both local and international transactions (payments, payroll), involving several currencies. The transaction is carried out fast and swift, with no hitches, due to the lack of intermediaries that can delay your transactions. The traditional banking system (used for transferring money and making payments) is notorious for operating in a way that ensures that business owners rely on intermediaries and pay heavily to carry out transactions. With the blockchain technology having its roots in cryptocurrency, it provides you with a secure channel that makes funds transfer easy. Whatever means you employ in the payment of goods and services, receiving payments, and paying employees or vendors, the blockchain will ease the stress and provide optimum security. Moreover, most blockchain transactions have minimal fees and are not restricted by country borders. Thus, enhancing opportunities for businesses to grow globally, employ foreign workers, and collaborate with foreign partners. You can learn more about the blockchain technology and its uses in making payments, crypto-trading, and business development.